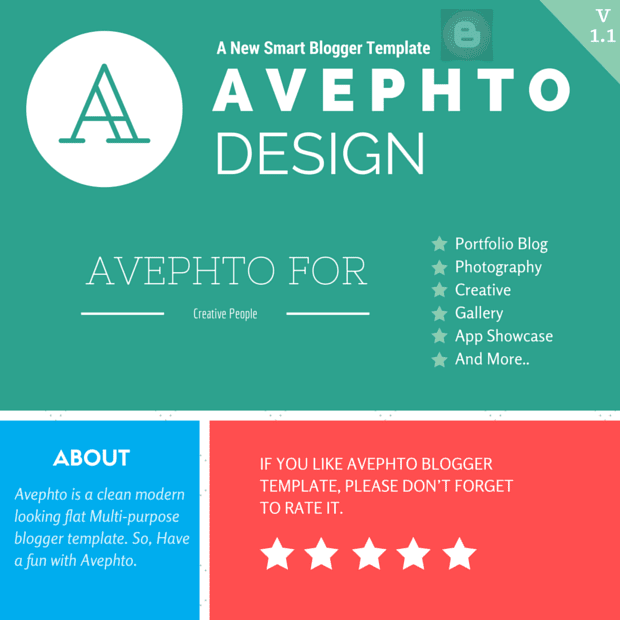 Avephto is a responsive blogger template for creative people. It comes with clean and modern design with two styles. It can be easily customized using the official blogger template designer. There are many features that this template comes with such as smooth scroll, unlimited colors, clean typography, fast loading and minified coding etc. You can use for photography, portfolios, gallery or blogging purposes. 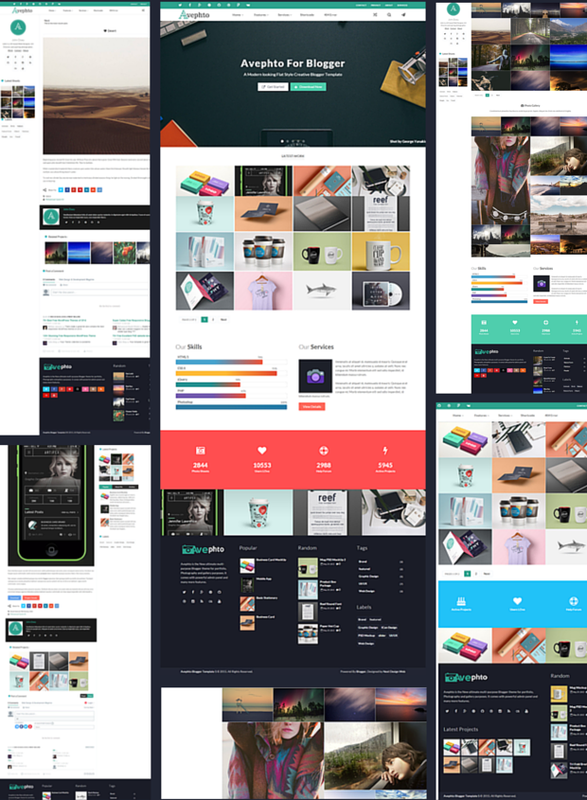 If You Like AVEPHTO, Don’t Forget To Rate It From Downloads Page The template is designed with flexible approach lets you to easily change the color skin, font size and other customization options easily from the official blogger template designer. You can ask for support any time from themeforest or you can contact us on our official site Next Design Web.